Looking for an easy treat to make for Christmas that everyone will love? 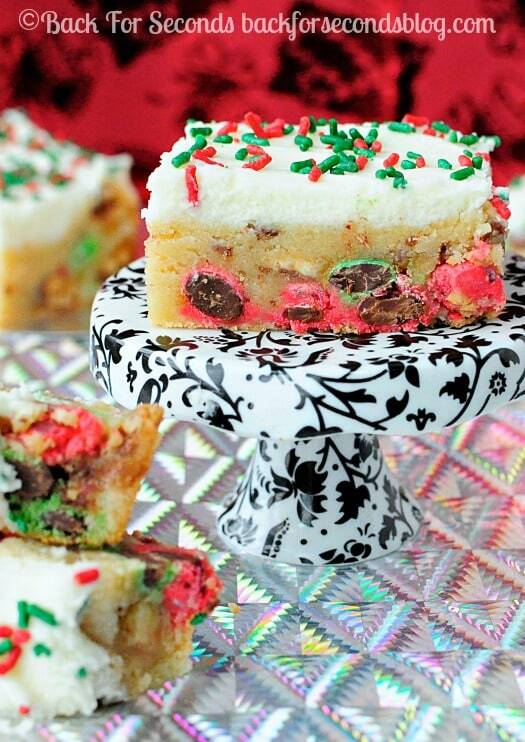 Try these Sugar Cookie Bars with Snickers and M&M’s! Sugar cookies are a necessity at Christmas time, but they sure take a lot of time and work! 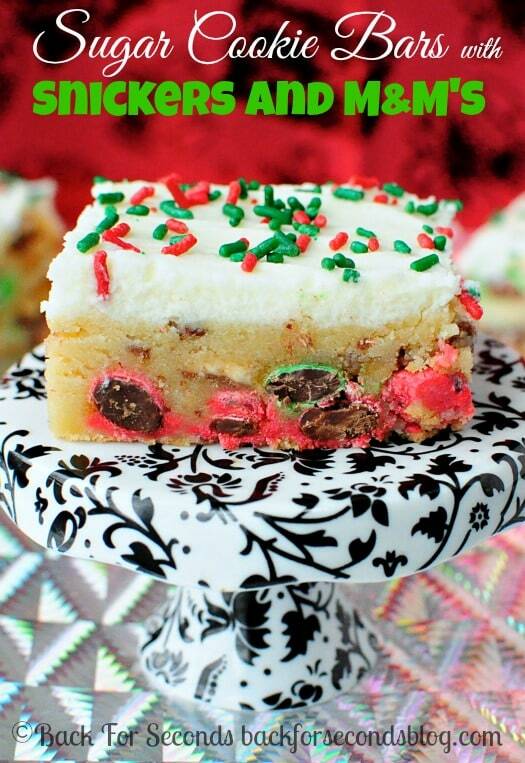 These easy Sugar Cookie Bars with Snickers and M&M’s are the perfect solution! No chilling or rolling out the dough. No cutting out shapes. No tedious frosting to do. Just bake, frost, eat! You guys, these are so good. I always slightly under bake mine because I like them really soft and chewy. 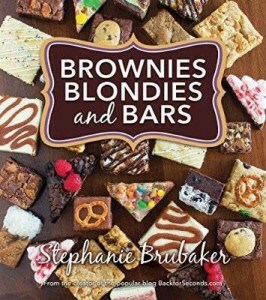 They almost have a fudge brownie texture – heaven! I loaded these bars up with chopped snickers and M&M’s. They are the ultimate sugar cookie treat! Make them for Christmas and watch them get devoured! These look awesome! 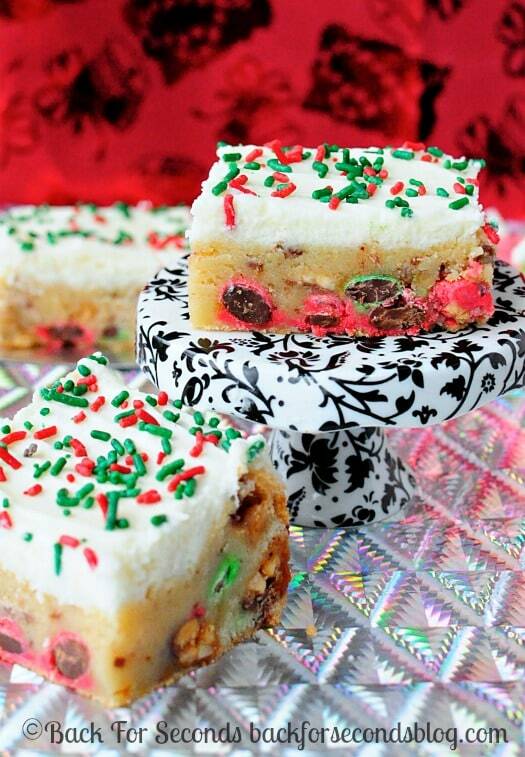 My mom made sugar cookie bars last year and they were delicious! I love the addition of candy in these! Ooh, love the look of the M&M’s in this!